This is the original one-room library of the college (then called Cincinnati Technical College, or CTC). It opened on January 31, 1972 in Room 254 of the Courter High School. 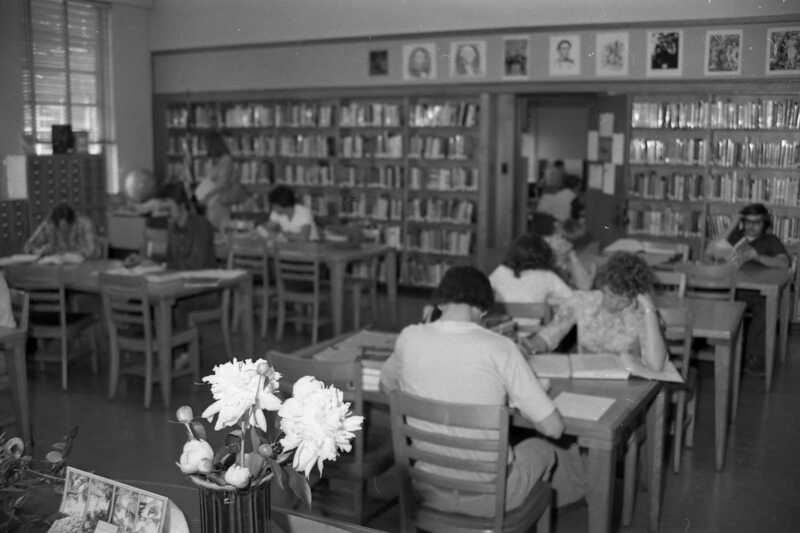 In the mid-1970s, as the college grew, so did the need for a larger library. Construction began to convert the former Courter auditorium into the Library Resources Center (LRC). This picture shows the library during construction. 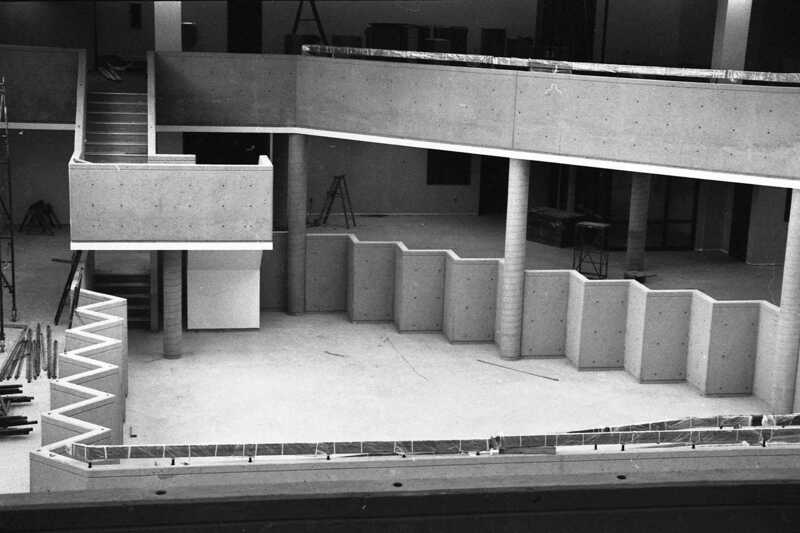 In September 1978, the new LRC opened to the public. In this picture, President Frederick Schlimm watches Johnnie Mae Berry place the first library book on the shelf. 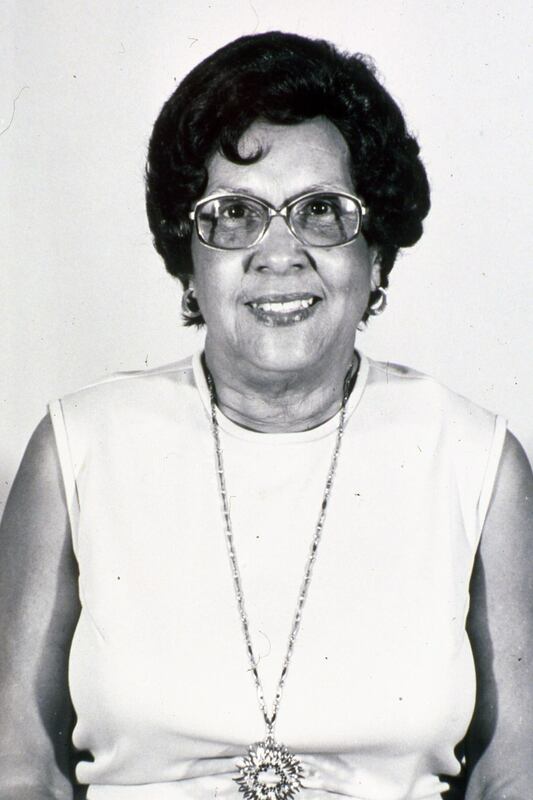 Johnnie Mae Berry served as the first full-time librarian. The library was named in her honor at an event on June 29, 1979. A plaque bearing her likeness and information is also affixed at the current entrance to the library. 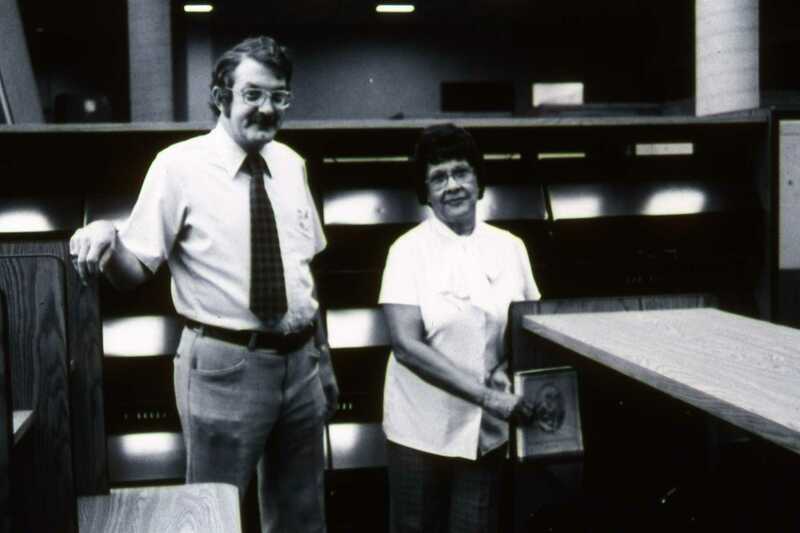 Throughout the 1970s, 1980s, and early 1990s, the collections, services, and staff of the LRC continued to grow. Patrons continued to access information via printed indexes and a card catalog. 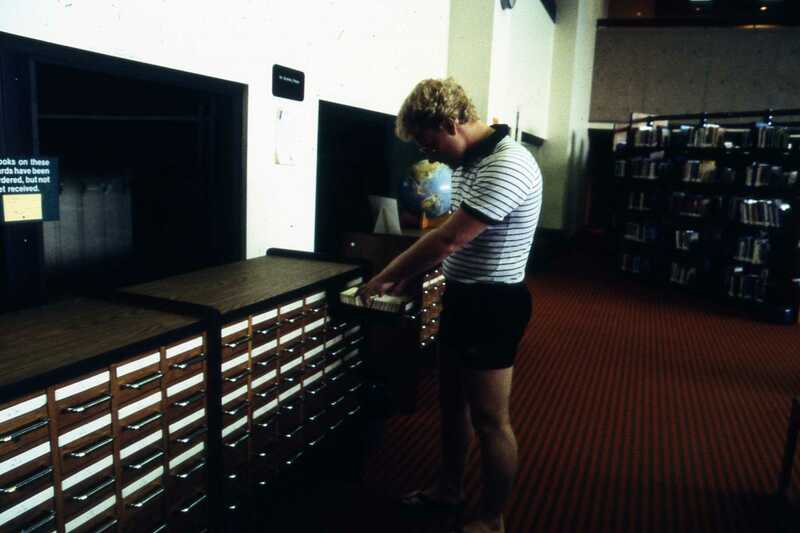 This picture shows a student using the card catalog sometime in the 1980s. 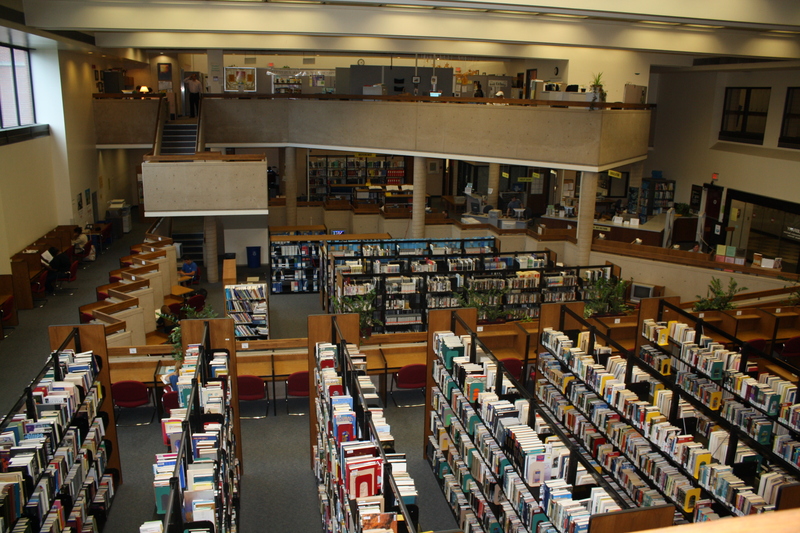 In its early history, the library was referred to as the Library Resources Center, or LRC. 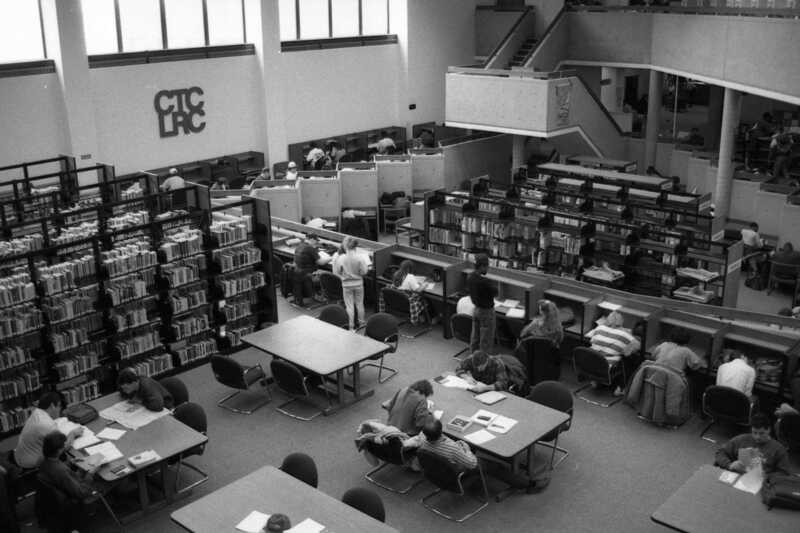 In the early 1990s, the LRC became known simply as the library. This photo shows the LRC sign sometime in the 1980’s. 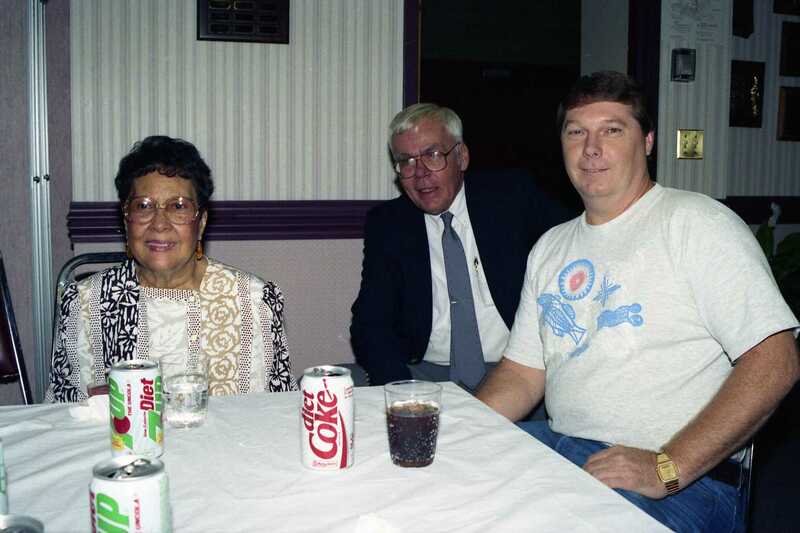 This picture shows the first three Library Directors: (L-R) Johnnie Mae Berry, Carl “Pat” Ventrone, and Jim Horton circa 1992. In 1995, the library joined OhioLINK, a consortium of college and university libraries in Ohio. The library’s catalog (BLINK) was computerized and searchable via the internet. 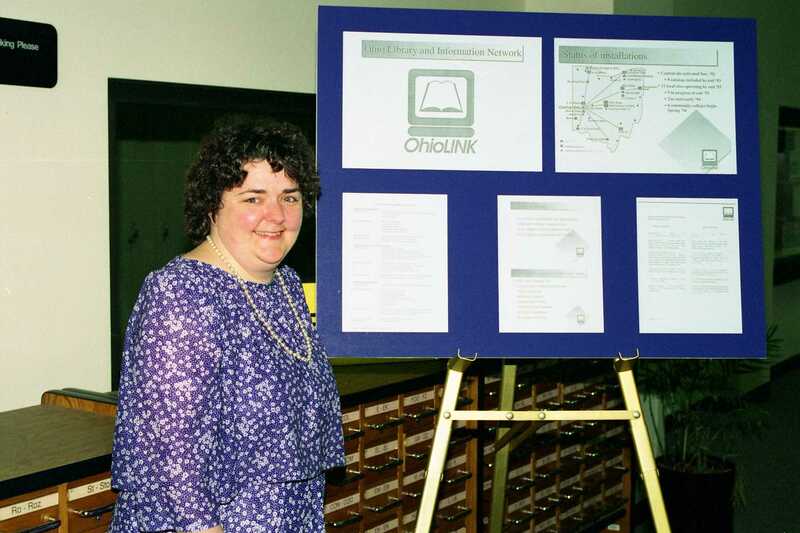 In this picture, current Director of the Johnnie Mae Berry Library, Kathryn O’Gorman, displays information about OhioLINK.